Being true to her word, Janna was a visible representative during Day of Hope 2018, being featured in several news stories and allowing her cancer journey to have a redemptive element. “I was in the grocery store after Day of Hope and the cashier recognized me from a story. She said, ‘I had been putting off my mammogram but when I saw you on the news I made my appointment the next day!’” Janna excitedly shared. 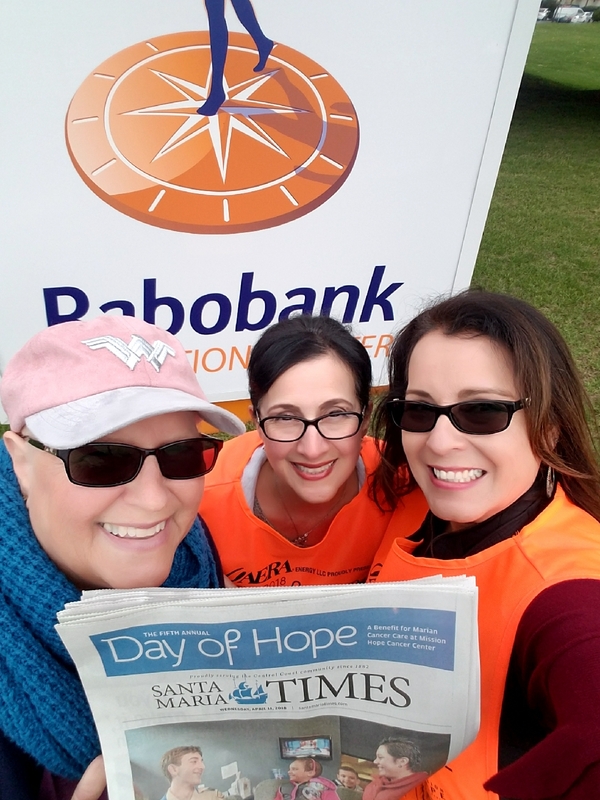 Janna Douma (left) helped raise awareness for Day of Hope with her Rabobank team in 2018.